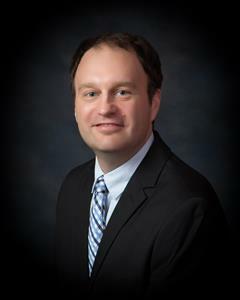 /EIN News/ -- Bedminster, New Jersey, April 17, 2019 (GLOBE NEWSWIRE) -- via NEWMEDIAWIRE -- Peapack-Gladstone Financial Corporation (NASDAQ Global Select Market: PGC) and Peapack-Gladstone Bank announce that Kenneth Lemmert, Vice President and Senior Compliance Officer, was recently awarded the Certified Regulatory Compliance Manager (CRCM) professional designation from the American Bankers Association. “Earning the CRCM certification validates Ken’s experience and depth of education in the bank regulatory compliance industry,” said Maureen Hemhauser, Senior Vice President, Chief Compliance Officer with Peapack-Gladstone Bank. The CRCM certification is awarded to individuals who demonstrate excellence in the field of bank regulatory compliance. To qualify for the CRCM certification, individuals must have certain levels of experience and education in the compliance profession, pass an exam and agree to abide by a code of ethics. The CRCM exam covers regulatory requirements as they relate to credit, deposits/securities, safety and soundness, information reporting and corporate responsibility. Ken, the bank’s privacy officer, has been with Peapack-Gladstone Bank for four years as a senior compliance officer in the Enterprise Risk Management department. He has been instrumental in forming the Bank’s Know Your Customer (KYC) and Enhanced Due Diligence (EDD) programs and leads the KYC and EDD group. In addition to receiving CRCM designation, Ken is a Certified Anti-Money Laundering Specialist (CAMS) as designated by the Association of Certified Anti-Money Laundering Specialists; and as designated by the Independent Community Bankers of America (ICBA), he is a Certified Community Bank Compliance Officer (CCBCO), a Certified Community Bank Security Officer (CCBSO) and is a Certified BSA/AML Professional (CBAP). Peapack-Gladstone Financial Corporation is a New Jersey bank holding company with total assets of $4.62 billion and assets under management and/or administration of $5.8 billion as of December 31, 2018. Founded in 1921, Peapack-Gladstone Bank is a commercial bank that provides innovative wealth management, commercial and retail solutions, including residential lending and online platforms, to businesses and consumers. Peapack Private, the bank’s wealth management division, offers comprehensive financial, tax, fiduciary and investment advice and solutions, to individuals, families, privately-held businesses, family offices and not-for-profit organizations, which help them to establish, maintain and expand their legacy. Together, Peapack-Gladstone Bank and Peapack Private offer an unparalleled commitment to client service. Visit www.pgbank.com andwww.peapackprivate.com for more information.